Well hello beauties! What have you been up to these days? What have I been up to? Oh nothing much, only werk, werk, werk, werk... It's not bad, but I'm really missing blogging and chatting with you. Luckily the later is going on on Instagram. 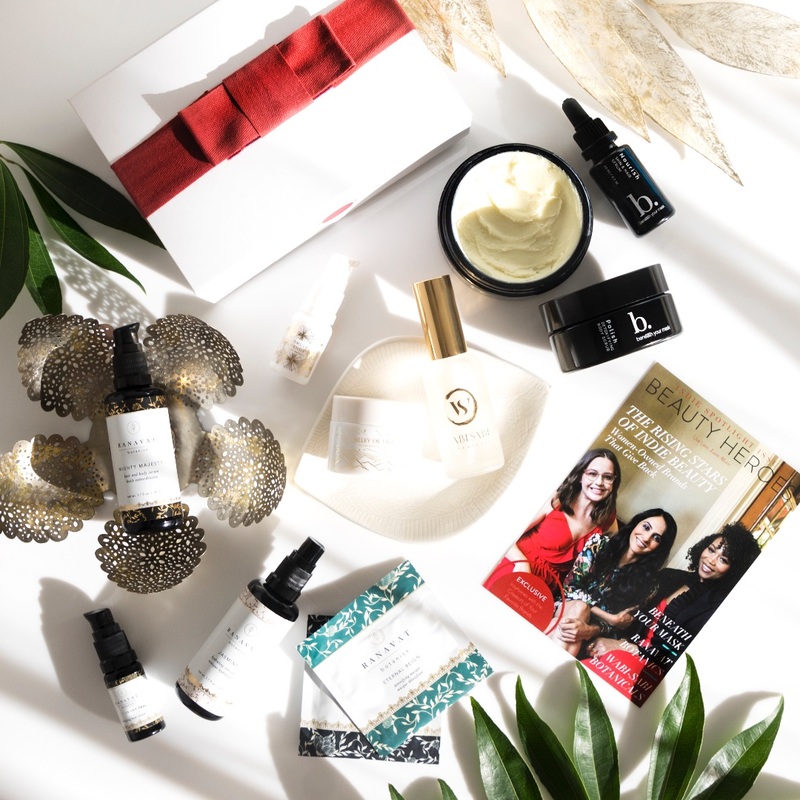 Talking about that, if you're like me and follow green beauty babes, then you've probably seen lots of pictures of Beauty Heroes July's boxes. Mines included. Well, today is the day to share with you my first impression/review. 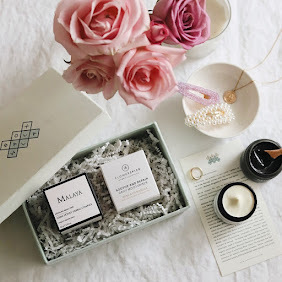 I have been using them for two weeks, which is less time than I usually take to review a product, but seeing as the box is only available till the 20th, it's about time to share my thoughts on the July's Box*. 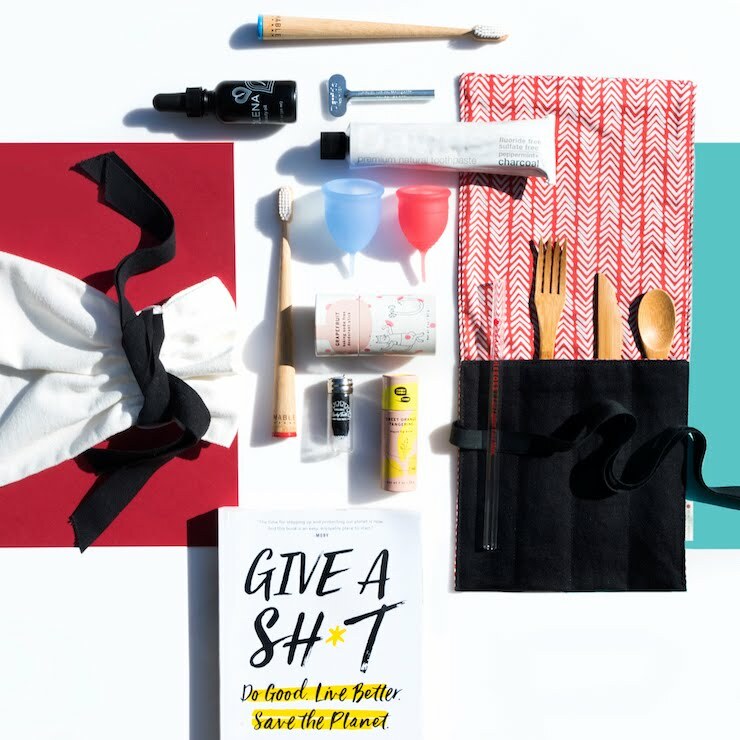 Beauty Heroes brought us yet another amazing beauty box. I don't know how they are doing it, but they always amaze me with their selection. 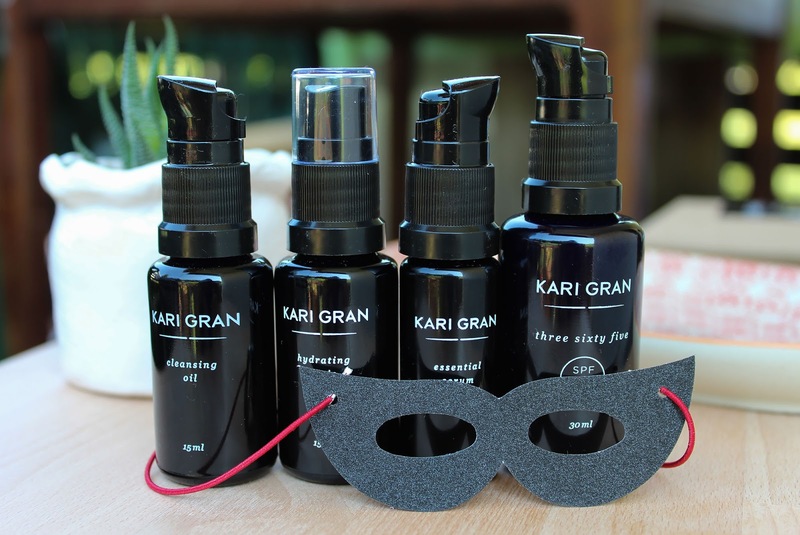 July's box features the gorgeous looking Kari Gran products. They are not only gorgeous on the outside, but also, and mostly, on the inside. Kari Gran is an American brand founded by Kari and is designed to multi-task to reduce clutter and promote simplicity. 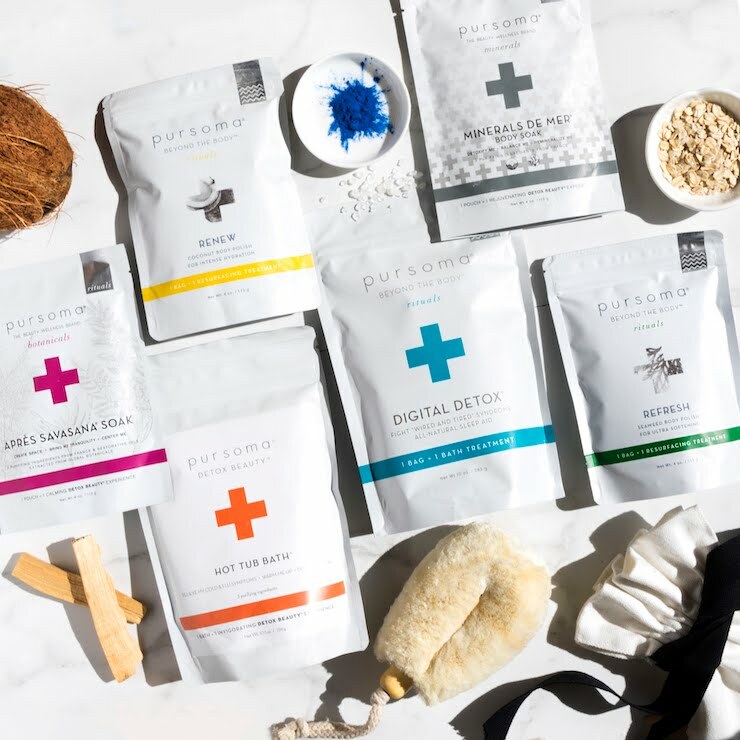 Using only organic, wild-harvested and non-GMO ingredients, Kari tries to keep things simple, delivering only products that are essential for the timeless ritual of self-care. 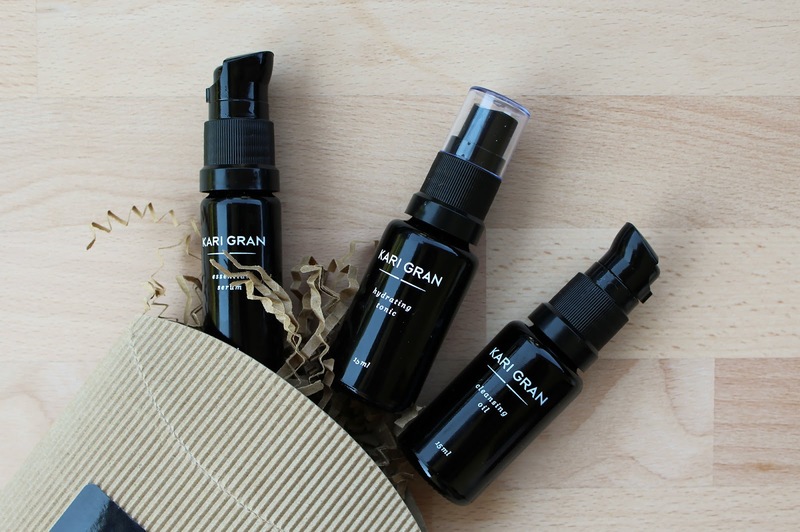 Kari Gran's minimalist line is also known as "The Little Black Dress" of eco-skincare. 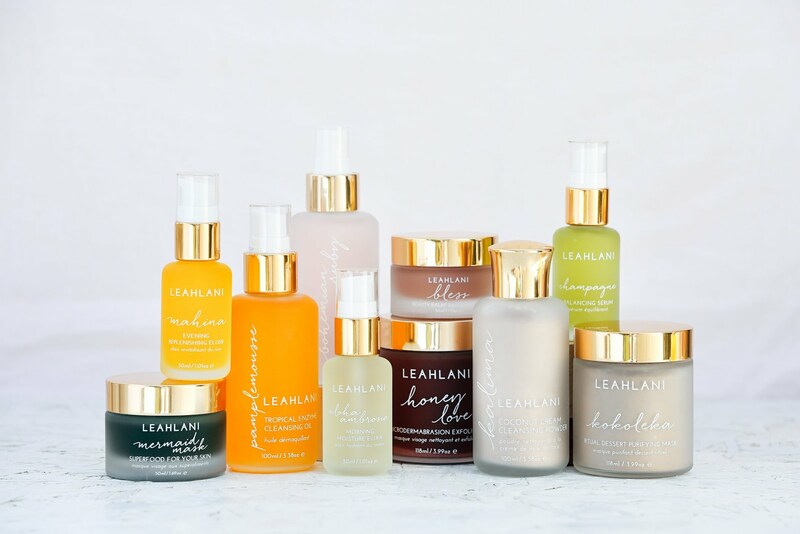 Besides the skincare products, which are btw all featured in the July box, Kari Gran also created mineral makeup. I haven't tried it yet but I have seen lots of beautiful reviews of their Lip Whips. But as June's box was all about makeup, July's box is all about skincare. Jeannie and the Beauty Heroes team is very mindful and thoughtful of that. Which is just another awesome thing they do. Even though the "right" product to review first would be the Hero of the box, I will leave that one to the end. Why? Because the Hero is a sunscreen and you put sunscreen on your face as a last step in your morning routine. So first it is time for the sidekicks. Yes, there are more than one sidekick, which makes my heart sing. 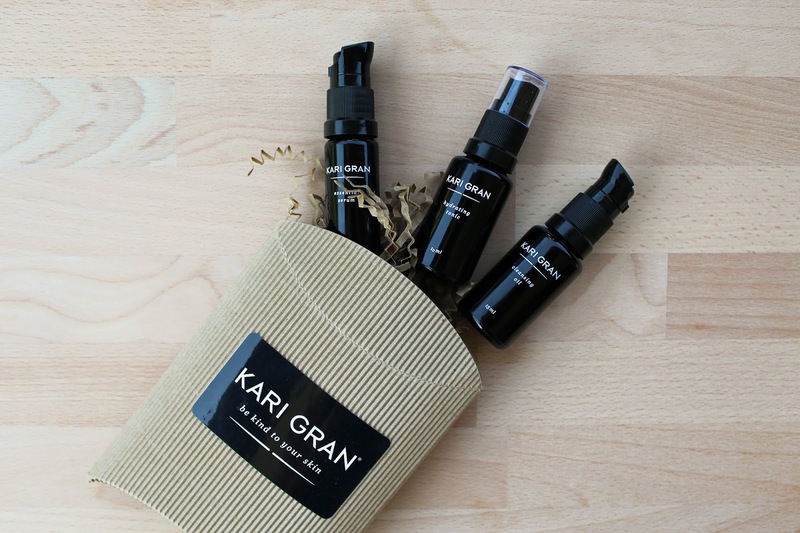 Kari Gran Mini Kit consist of Cleansing Oil, Hydrating Tonic and Essential Serum. Cleansing Oil* (100 ml, $30) is probably my favourite of the three. I say probably because I just adore all three minis and it's hard to decide which one I love best. Cleansing oil beautifully removes all my makeup and leaves my skin squeaky clean minus the dryness which is usually associated with that "squeaky clean feeling". It removes all makeup and dirt from the day and leaves my skin feeling smooth, soft and not dry at all! It also doesn't feel oily. It's such a wonderful oil, you feel me?! Like it is with every cleansing oil, I apply a few pumps of oil into the palm of my hand and then onto dry face. I massage it into my skin and remove with a hot washcloth. 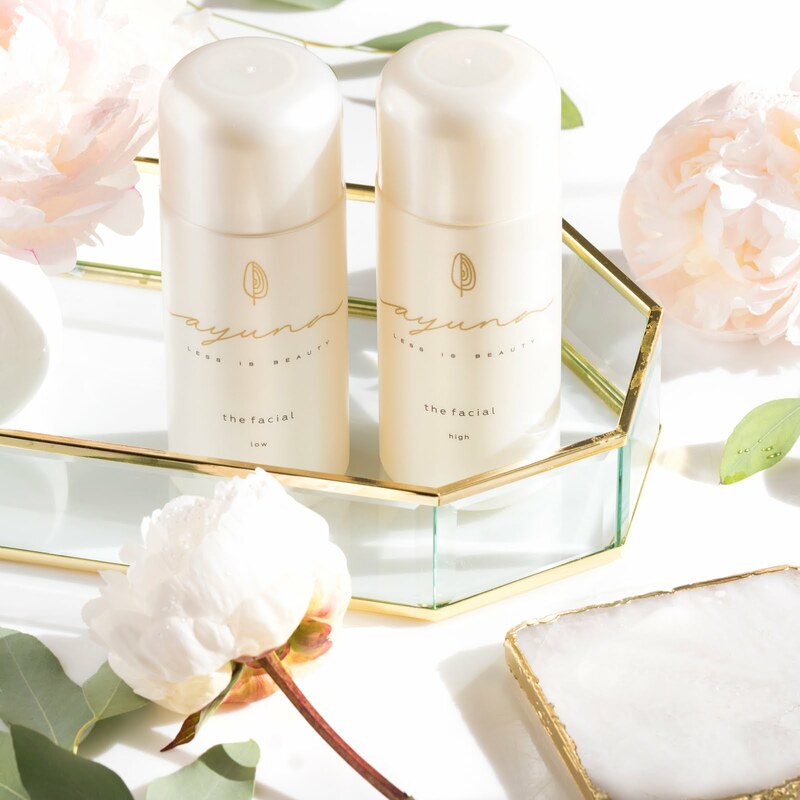 As you may have heard, double cleanse is a massive game changer in skincare routine and up to late, I've been doing it with a gel or cream cleanser. Here is an example of that. But lately I've been loving using the same product as my second cleanse. To quickly describe it - after first cleanse I again go in with the same cleansing oil and do it all over again. The only thing I'm careful is to always make sure to use the clean side of the cloth. So one side of the cloth for the first cleanse and the other side for the second cleanse. Hydrating Tonic* (100 ml, $35) contains three ingredients: 100% fractionally distilled Aloe Vera Leaf Distillate, Organic Vegetable Glycerin and Organic Lavender Oil. Maybe it sounds like your average facial toner, but it so isn't average. The Lavender they are using is so amazing and smells beyond gorgeous. If you are not a fan of lavender scented products, I believe you would still love it. If not, they have another toner with Rose Oil, which sounds equally beautiful. The product lives up to the name, it is hydrating, really refreshing and the scent is just so soothing and beautiful. Wish I hadn't used it up already! And I also used up the Cleansing Oil! Essential Serum* (30 ml, $60) isn't as simple as the already mentioned products are, meaning that it contains more ingredients that the two together. It also doesn't have that amazing lavender scent, but it smells amazing nonetheless. 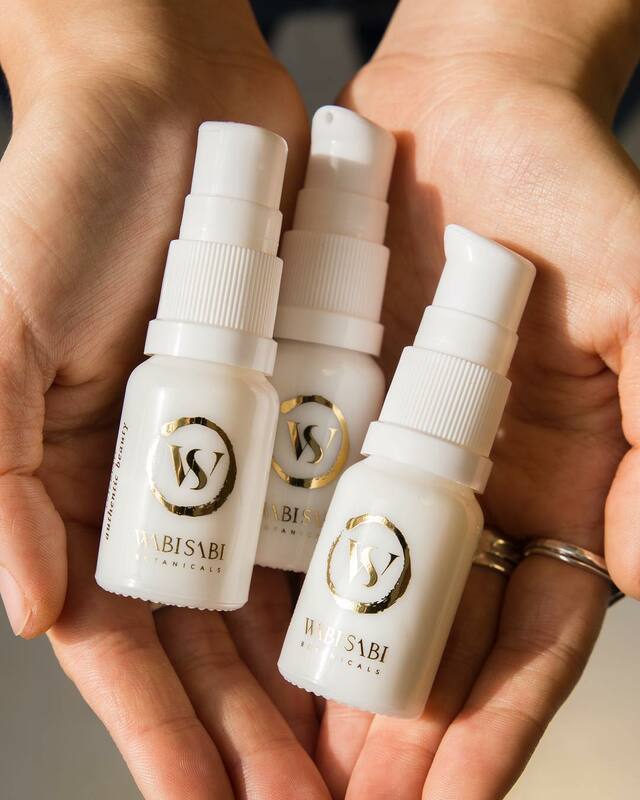 As essential oils go, the serum contains a few of those - Lavender, Frankincense, Rose, Jasmine and Ylang Ylang. How does it smell you say? Well, it smells like Ylang Ylang. I love it. I don't know if it is this product, but my skin has been really happy since I started using Kari Gran's products. I think a lot of it comes down to this beautiful serum. 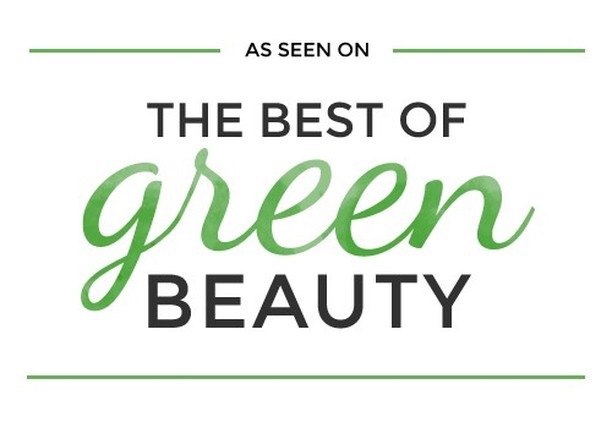 How could it not if it contains a beautiful blend of organic, wild harvested and non-GMO ingredients chosen specifically for their skin-nourishing properties. 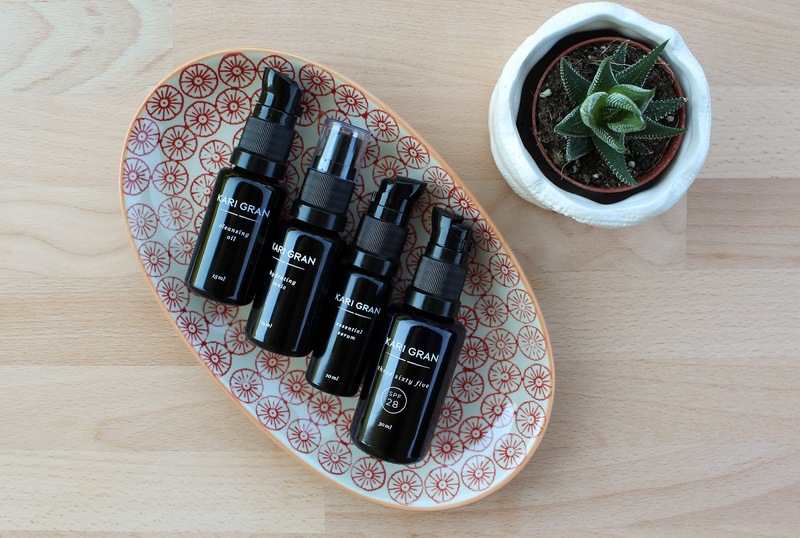 Essential Serum has some of my favourite plant oils, like Avocado, Rosehip, Camellia, Calendula and Sea Buckthorn Oils. One that I would also like to mention is Arnica Oil, which has amazing inflammation-reducing power. Arnica is an endangered plant and is the perfect remedy for all kinds of bruises, aches, sprains and more. Pure Arnica Oil can cause skin irritations, it can also be toxic, but being diluted as it is in the serum, there is no cause for concern. This product doesn't cause any breakouts, it sinks into the skin beautifully and leaves it soft and moisturized. It's calming and it's safe to say that the more I use it, the more I like it. Three Sixty Five SPF 28* (30 ml, $48) is the first Kari Gran launch in 4 years. The product is a physical, broad-spectrum, facial sunscreen to be used 365 days of the year - rain or shine. Hence its name. You should always look for an SPF product with broad-spectrum protection. This means that the product protects from UVA, rays that age the skin, and UVB, rays that burn skin. 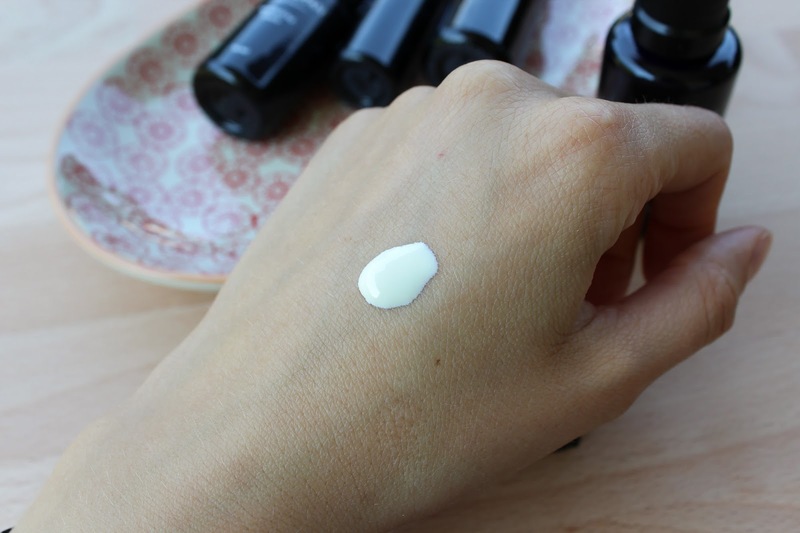 Three Sixty Five contains non-nano Zinc Oxide (17% - this is important, but I will talk about that in my next post). This active ingredient is supported by free radical-fighting Red Raspberry Seed and French Plum Oil. 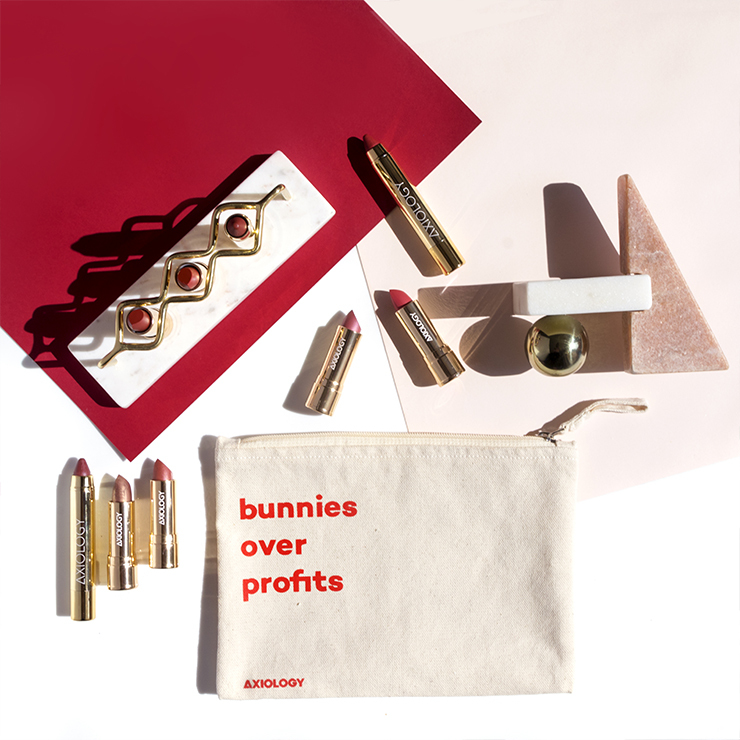 It's formulated without a drop of water but loaded with Macadamia, Kukui, Avocado and Jojoba oils, and Vitamin E. It also contains Beeswax, so no, the product is not vegan friendly. 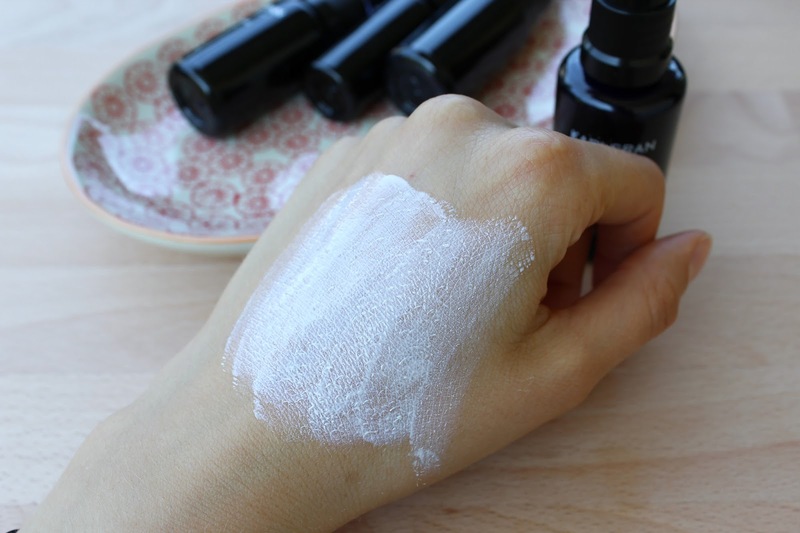 The product isn't as oily as you might think, but it's not super lightweight either. That being said, it is a beautiful product to use and I've been really loving it. The consistency is like an oily lotion, but in the best possible way imaginable! Oily because it doesn't contain water but mostly oils, and lotion because it looks like a lightweight lotion. As you see, it is white (because of the Zinc Oxide). 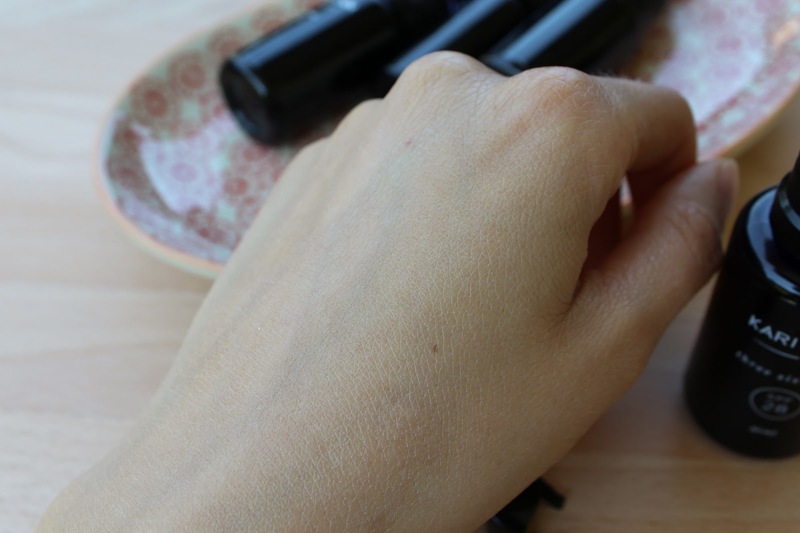 At first it can leave a slight white cast on the skin, but after massaging it in it disappears. One pump of the product is just enough for my whole face. The product needs quite a bit of time to sink into skin, which also depends on how much you use. And don't use an oil underneath it, the sunscreen has got you covered. It's not as easily absorbed and lightweight as is the Kimberly Sayer Ultra Light Facial Moisturizer SPF 30, that's for sure. I'm used to oils and I love to apply them even before makeup, but I imagine some might need a bit of time to get used to it. All I know is that I'm thoroughly enjoying it. It's very hydrating and nourishing and at the same time it doesn't clog my pores one bit! Zinc Oxide actually has an anti-bacterial benefits so it's actually perfect for acne-prone skin. I think this is also one of the reasons my skin has been looking particularly nice. I love that it is not drying nor heavy on the skin, which can happen with sunscreens. It goes perfectly with the Lily Lolo Mineral Foundation and the blend of both gives my skin a dewy look. 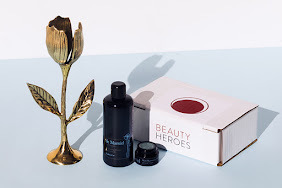 July's Beauty Heroes Box is definitely worth its $39. If you haven't already (what are you waiting for? ), subscribe here. 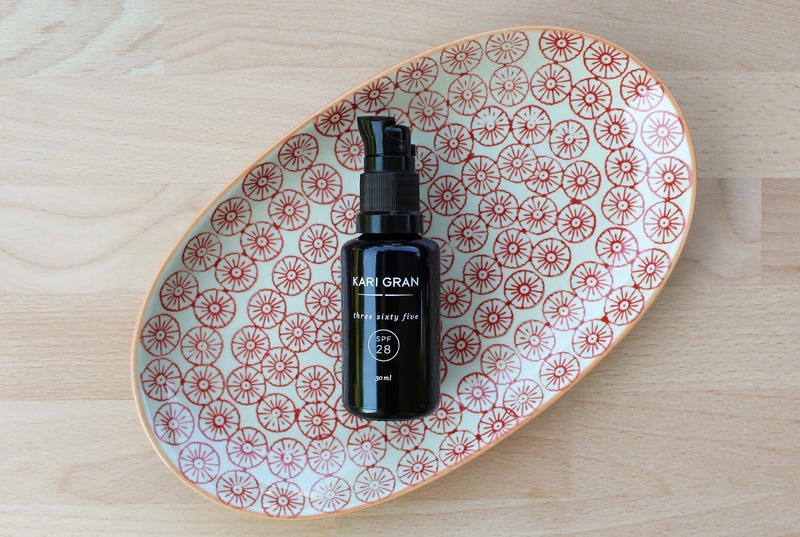 Kari Gran's products sure are gorgeous and they have been really agreeing with my combination skin. Love. 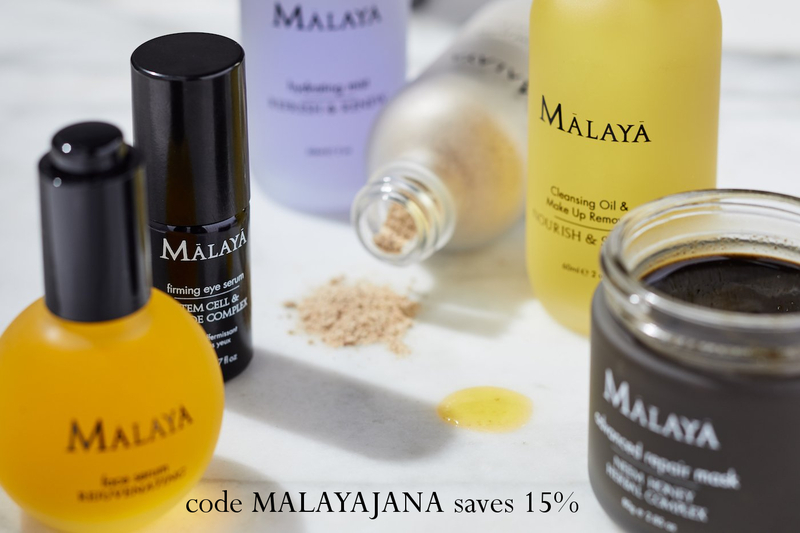 I also want to mention that if you subscribe to Beauty Heroes you get 15% off in their Beauty Store. What is really exciting is if you spend $100 there, you will receive a full size Peppermint Naked Lip Whip ($16 value). What's up with Zinc Oxide?